There are so much more you can do in our islands other than beach-bumming! A summer in the Philippines won’t be complete without a trip to at least one of the country’s numerous beaches. Here's the thing: There’s so much more to do in our islands other than beach-bumming! 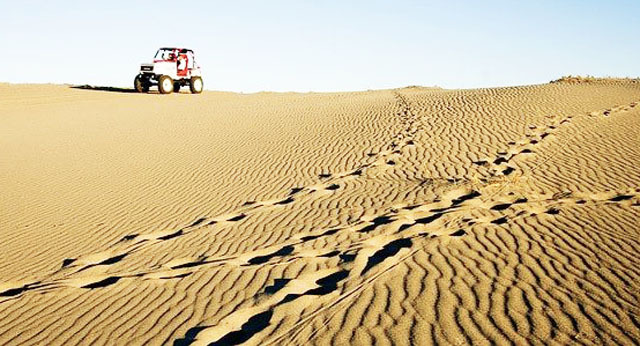 A fun-filled day awaits you at the La Paz Sand Dunes, where you can ride an ATV and surf down sandy slopes all day long. Head there early morning or late afternoon to avoid getting a nasty sunburn! The mighty Chico River eagerly awaits thrill seekers looking for a different kind of adventure up north. Gather the whole gang for a whitewater rafting experience you’ll never forget! Rates: Chico River Quest offers complete whitewater rafting packages, including equipment, accommodations, and transport. Prices range from P4,000 per person for a 2D/1N trip on beginner-level rapids, to P8,500 per head for a 3D/2N adventure. Looking for a sweet escape from the city’s madness? 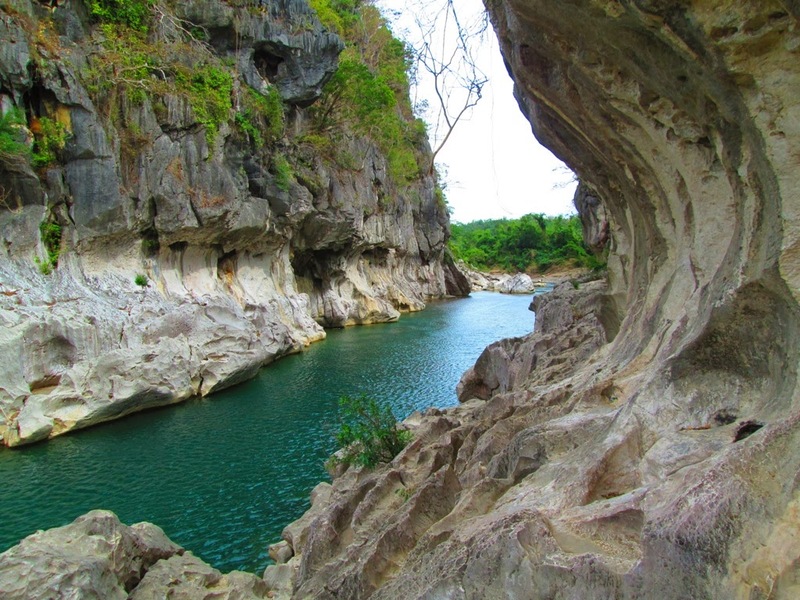 Head to Minalungao National Park, a hidden gem (that probably won’t stay secret for long) in Nueva Ecija. 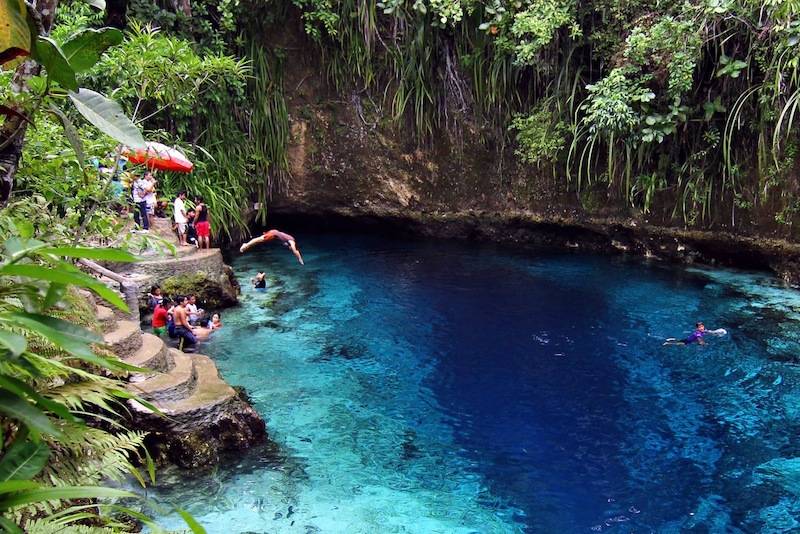 The park houses the Peñaranda River, a crystal-clear stretch of water bordered by towering limestone cliffs. Bask under the sun by the river, or explore the park’s sights—either way, you’ll never run out of things to do. Rates: The park has a registration fee of P20 per person and another P20 for each vehicle, tricycle or car. Hire a local guide (prices are negotiable) to show you around the park’s sights and avoid getting lost. 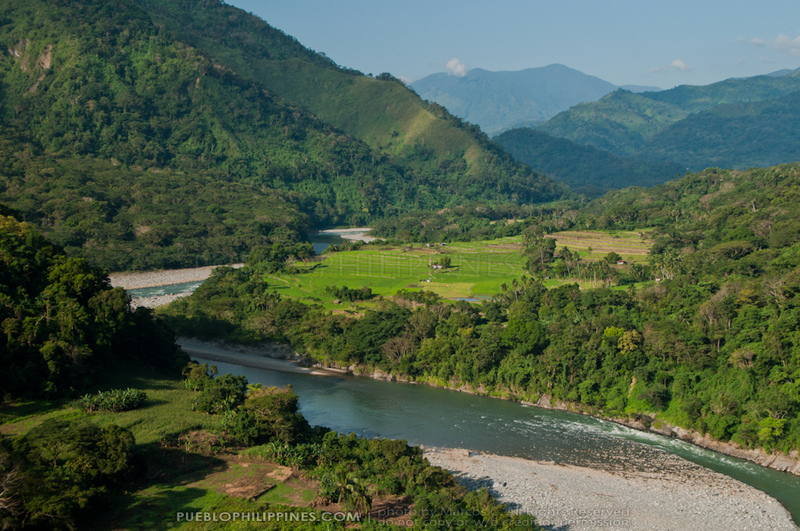 Just a short road trip away from Metro Manila lies the 1,500-hectare Masungi Georeserve, a haven for nature explorers. Get the whole group and climb limestone peaks, relax on a gigantic hammock, see various plant and animal species, and gain a new appreciation for the world around you along the way! Rates: It’s P1,400 per person from April 2016 onwards for a group of seven to ten people. Slots get filled up real fast, so book early—like months before your trip! This is one of the country's best dive sites, and the second largest contiguous coral reef in the world next to Australia’s Great Barrier Reef. Getting there is tricky, but this underwater beauty’s worth it. Needless to say, if you’re planning to take scuba diving lessons, this is a great destination! 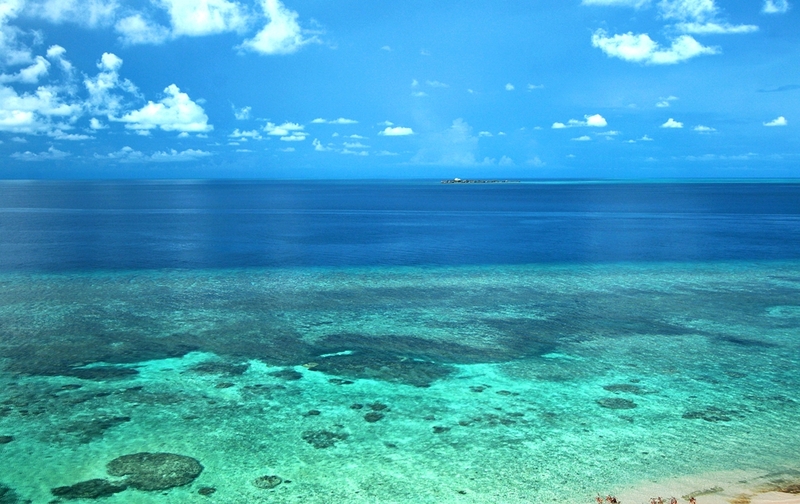 Rates: The reef itself is a two-hour boat ride away from the town of Sablayan. Chartering a boat will cost you P7,500 for a snorkeling trip (for 10 people) and P8,000 for a diving trip (for six people, maximum of four dives). The quiet town of Alegria in Southern Cebu is the gateway to an adrenaline-packed canyoneering adventure where you’ll be leaping off waterfalls, swimming in crystal-clear waters, clambering up boulders, and basking in lagoons. 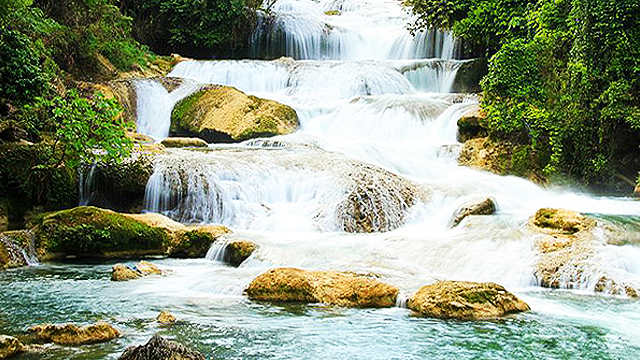 You’ll eventually emerge at Kawasan Falls in the nearby town of Badian. Not for the faint-hearted, a day here will leave you in awe of Mother Nature’s beauty. 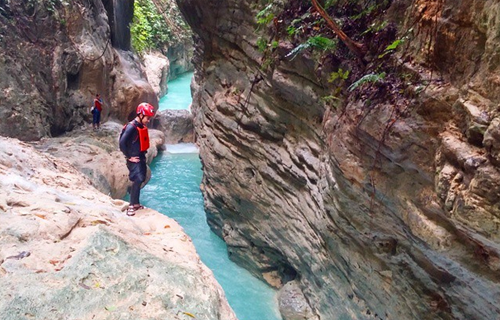 Rates: Many tour groups offer canyoneering packages, starting at around P1,200 per person. It’s cheaper if there are more of you, so get the whole barkada to join in! If caving’s more your thing, head to Sohoton National Park, where you can explore a number of magnificent caves teeming with stalactites, stalagmites, and in some cases, natural pools (cave swimming, anyone?). 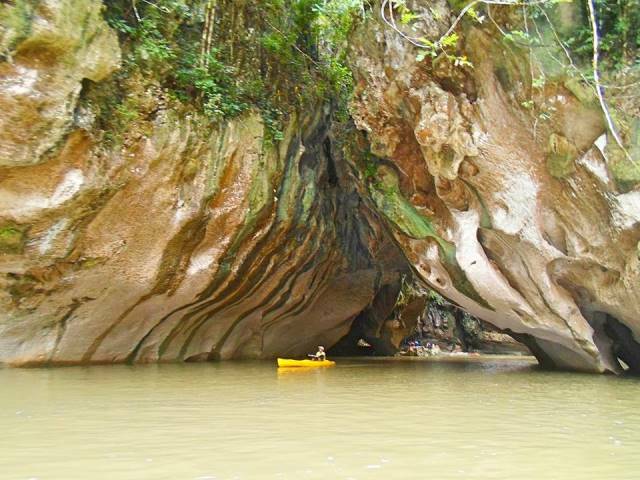 You can also go kayaking on the Sohoton River to see the Sohoton Natural Bridge up close! Rates: There’s a mandated P25 entrance fee and a P50 environment fee per person, plus a P300 lighting fee (for a maximum of 10 people) so you could see inside the caves. The rest, as with several other tourist attractions in the Philippines, would depend on your haggling skills. Chartering a pumpboat to the park would cost you anywhere from P500 to P1,500, while hiring a tour guide would be P300. Kayak rental, meanwhile, costs P50, while a kayak guide would cost P150. Channel your inner Superman at Dahilayan Adventure Park, where you can test two ziplines (including Asia’s longest dual line zipline! ), a canopy glider, a zipride, a freefall ride, and a base jump ride, plus a rope course perfect for team building activities. Complete the group bonding experience by staying at the Pinegrove Mountain Lodge, which offers reasonable rates for overnight stays. 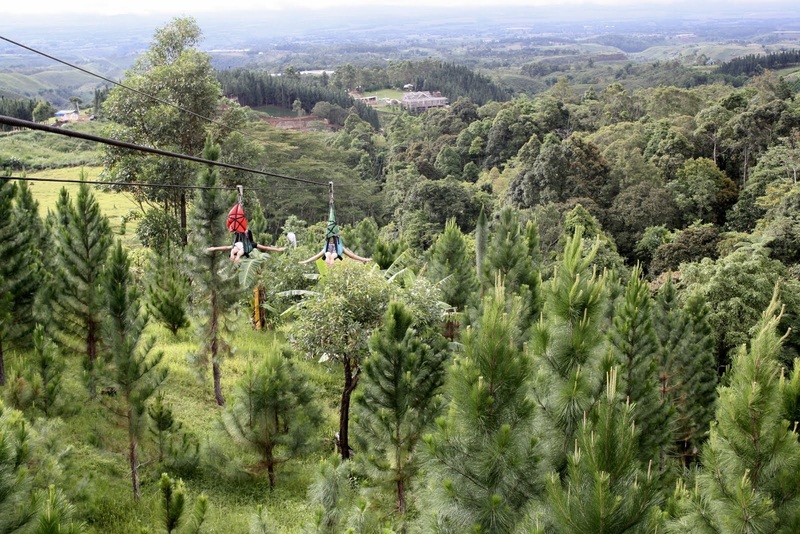 Rates: A ride on the 840-meter zipline costs P500, while the shorter zipline costs P250 (you can also ride on both ziplines for P600). Other rides range from P250 to P750. You can also avail of the park's packages, which range from P1,200 to P2,500 per person inclusive of transportation to and from Cagayan de Oro City. 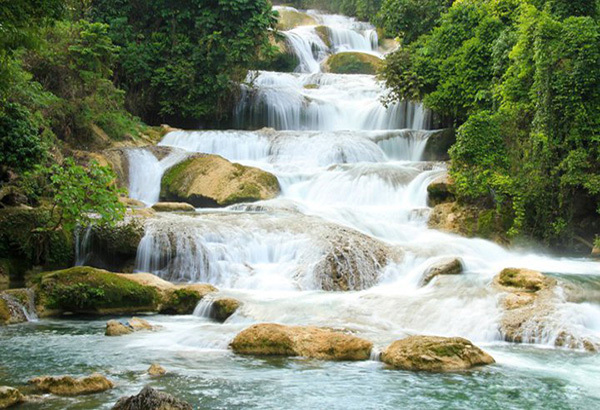 Avid waterfall chasers shouldn’t miss Aliwagwag Falls, the highest waterfalls in the Philippines. Towering at 1,100 feet, with 84 curtain-like cascades, it resembles a stairway to the skies when viewed from afar. You can also cross the monkey bridge over the falls and ride the zipline across the cascades. Rates: Entrance to Aliwagwag falls costs P50 for adults and P10 for kids. Crystal-clear turquoise waters beckon visitors to take a dip in the mystical Enchanted River, which, according to local lore, is the haven of fairies and other mystical creatures. This river flows into the Pacific Ocean, but its source remains unknown until now. More mind-bogglingly, no one—not even the most skilled swimmers—have been able to reach the bottom of the river. Rates: Entrance fee is P30 per person, and you can rent life jackets for P15 an hour.